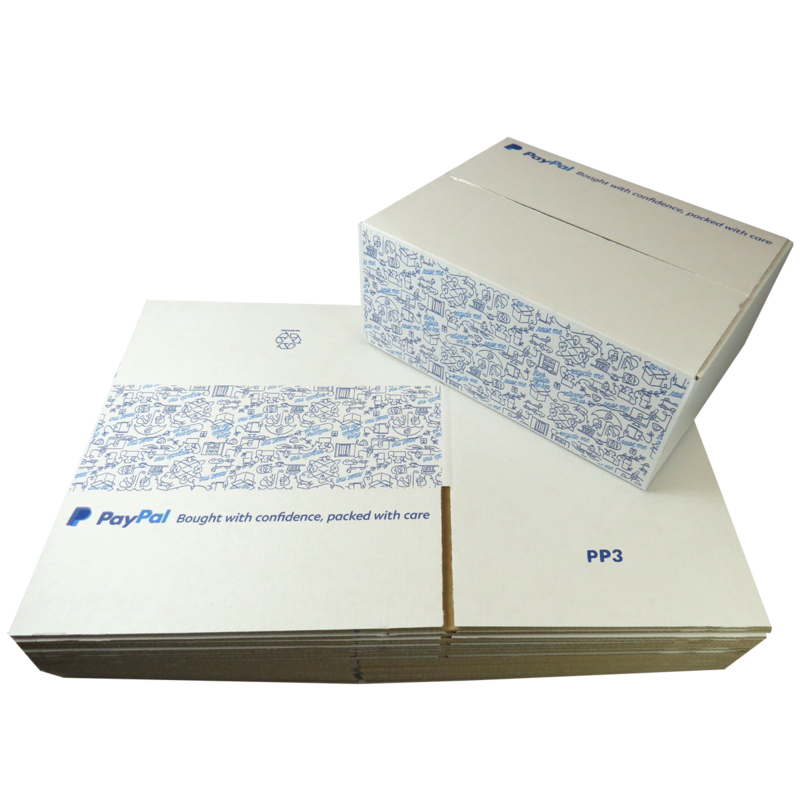 A pallet of 1200 x PayPal branded high quality white single wall postal mailing boxes, size 335x260x135mm (13.1 x 10.2 x 5.3"). Perfect for those small items, and for keeping postage costs down. Easy standard construction 0201 style boxes in white outer with two colour branding, enhancing confidence to your customers and giving your items an excellent presentational feel. These boxes are an environmentally friendly product. They are made from 100% recycled material and are 100% recyclable.